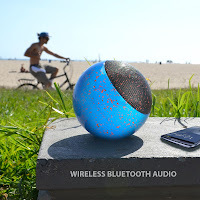 Accessory Genie - Consumer Electronics and Accessories Industry News: Urban Ball of Sound! The heat of summer is taking everyone outdoors for some sun and fresh air. Everyone is enjoying the outdoors but all that is missing is some music to spice up the day. Only problem is that no one wants to lug around a huge speaker system everywhere they go, especially one that is going to need to be charged every so often. 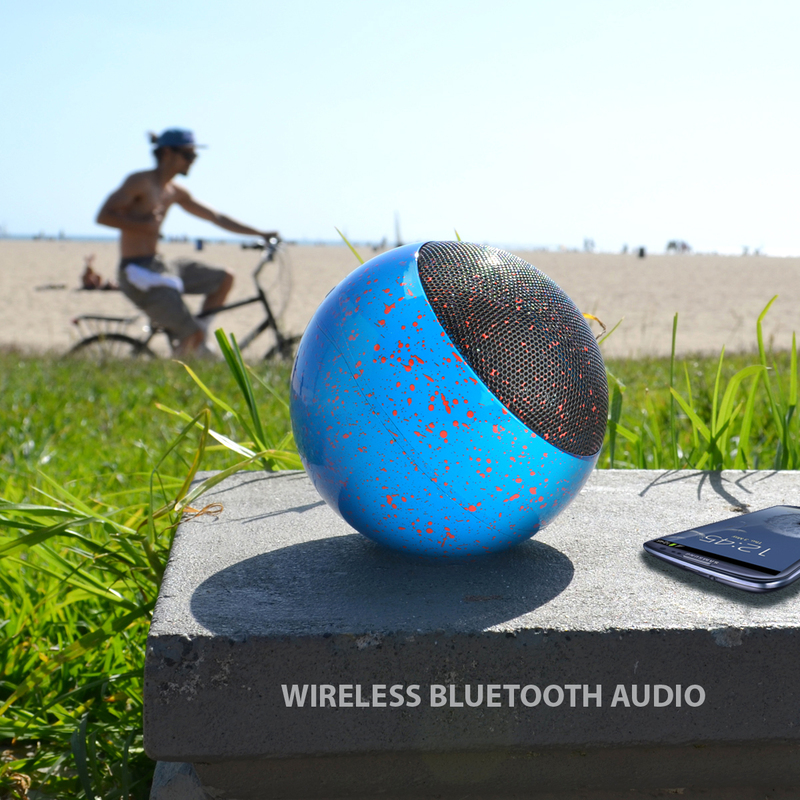 No worries, I’ve got the solution for you; the GOgroove BlueSYNC OR3 Bluetooth portable wireless speaker! This easy to handle, unique paint splatter design, will catch your attention while your ears take in the crisp clear audio. Additionally, with its Bluetooth capability you can stream wireless music from up to 30ft away. Not only does it provide long lasting musical bliss with the extended-capacity battery but its compact size allows you to easily carry it along anywhere you go, just simply place it in its carrier bag and you're off! Perfect for those outdoor summer adventures! The GOgroove BlueSYNC OR3 is on sale now for $39.99 with the newsletter code. Act now and do not miss the over 50% off deal! If you want to be in the know about great deals, you can sign up for our Weekly Newsletter! That’s where you’ll be the first to know about new products, special discounts, exclusive promotions and more!